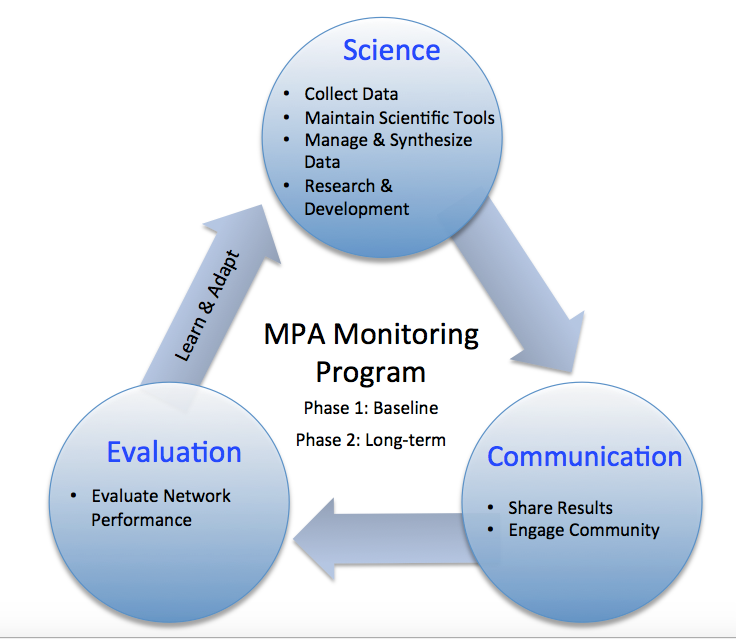 In the interim peiord prior to the mid-2018 release of the MPA Monitoring Action Plan, funding decisions for the Statewide Monitoring Program are guided by recommendations from the Phase 1 Baseline monitoring, the existing regional monitoring plans and the statewide monitoring framework. 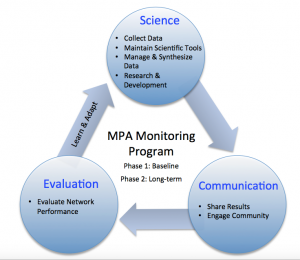 The development of the Statewide Monitoring Program and the Action Plan links directly to the needs identified by the California Department of Fish and Wildlife to support their adaptive management and evaluation of the network including those in MLPA Master Plan. This program area is deeply dependent on partnerships and leveraging opportunities that have been developed through the Baseline Program and MLPA Initiative process.